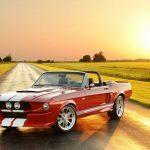 Since the success of the regular GT500CR models it was only a matter of time until we saw a convertible GT500 from the Oklahoma factory and you can see from the pictures the car exudes the same appeal and class that the other models a famed for. 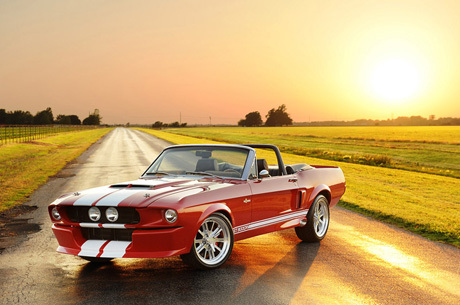 As with all Classic Recreation builds the convertibles to will be added to the official Shelby registry. But to wear the Shelby name is a privilege and one only certain performance cars can claim fame to. 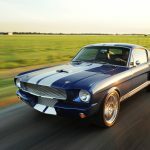 And for that the Shelby GT500CR is no slouch. 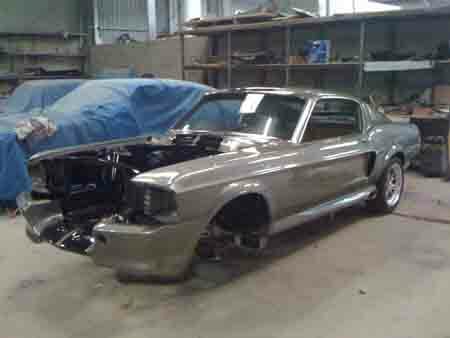 Starting with an original 1967 or 1968 Mustang Convertible a complete restoration is done including media blasting, sheet metal replacement and a show winning paint and body. Yes we can assume as it is a convertible it is most probably heavier than a normal Fastback due to the body strengthening requirements (I could be wrong) but with a 427 Crate motor packing 545hp and 770hp per model respectively you can also assume the grin on your face will be the only thing that matters. Both models (Performance – $145,000 and 900s – $199,000) are jammed packed with just about every modern piece of kit you can have in a vintage vehicle and are fully customizable. Look out for more updates on the GT500CR when we see them released. Check out full specs below. 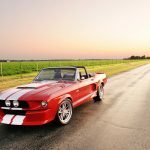 This entry was written by by 67mustangblog.com (1967 Ford Mustang Shelby GT500) and posted here on Thursday, May 10th, 2012 at 3:16 pm and is filed under classic recreations, GT500CR. This article was not written by us, rather gathered using RSS feeds listed here. We take no credit for this article. You can leave a response, or trackback from your own site.